How well do staged classical music pieces work? 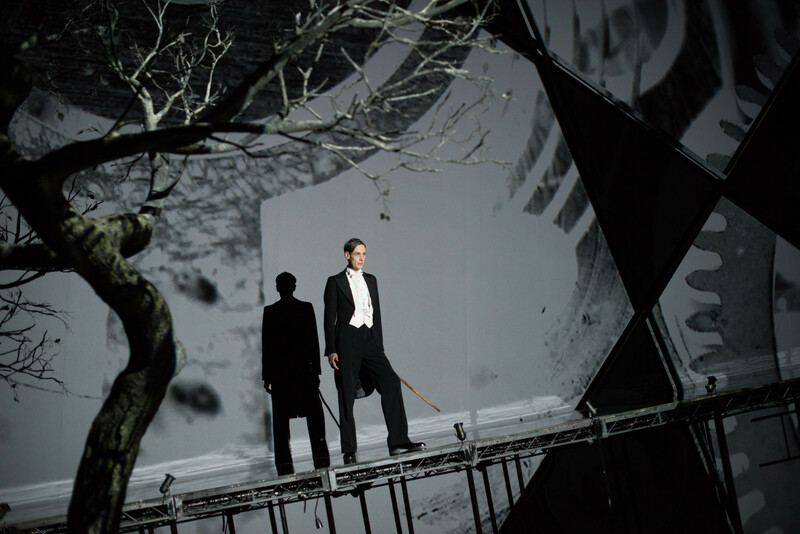 The jury is still out despite the considerable brilliance that director Netia Jones brings to her staged interpretation of Hans Zender’s orchestrated version of Schubert’s `Winterreise’. Schubert’s song cycle, written when he was just 30/31, is one of the great pillars of western culture, twenty four songs set by Schubert to the poems of Wilhelm Müller in 1828, for singer and piano. More than twenty years ago, Hans Zender orchestrated the song cycle, passing it through a sieve of 20th century musical influences. The Britten Sinfonia under Baldur Brönnimann at times takes on the mantle of Weimar cabaret and Kurt Weill, at other times Mahler and on into the atonal realms of Berg and late 20th century – discordant, jagged sometimes even a little `thin’. But what occasionally it lacks in weight is more than made up for in Netia Jones’ staging of Hans Zender’s `Winterreise’. 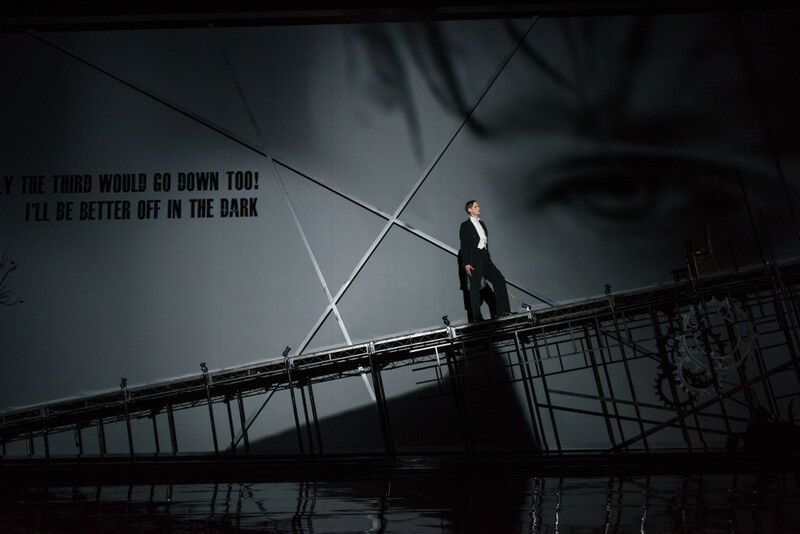 Film and video are all employed with at its centre the thin, hallucinatory figure of tenor Ian Bostridge, dapper in pin stripe and bow tie, later ravaged against a landscape of piercing snow-laden, pine forest bleakness. A tale of lost love and our mortal journey towards extinction, Muller’s words are drenched in German Romanticism and encounters with death, its morbid self-obsession reflected by Jones in a series of haunting film and video images of a figure silhouetted in the landscape or a younger Bostridge frozen, prostrate, on icy ground. Jones’s Expressionistic staging, a commentary on the passing of Time and the dirge of a mechanistic world, enveloped in light and shade until the ultimate extinction, is certainly striking if at times almost too busy. 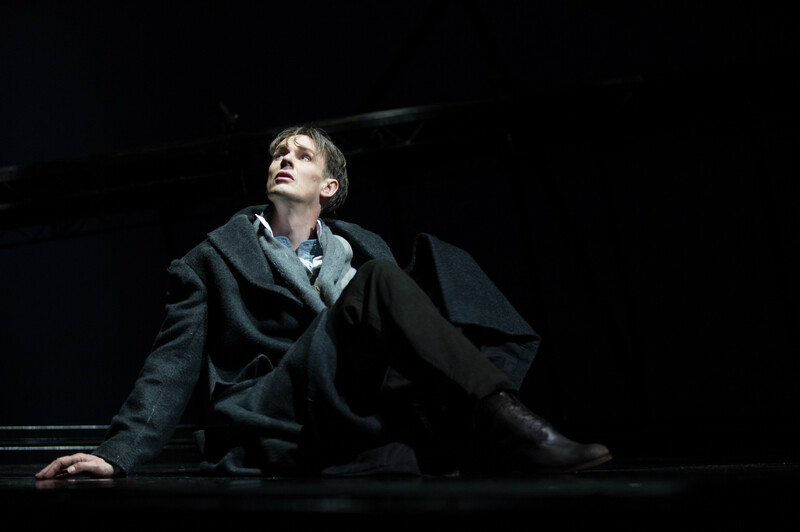 But Bostridge is peerless, totally emotionally committed despite having performed this work now for nearly thirty years, his voice as fresh and clear as ever, accentuated in moments of high tension by exquisite lighting. Carrying echoes of Peter Stein’s famous Expressionistic staging of Eugene O’Neill’s The Naked Ape, Jones places Schubert’s wanderer in an overpowering, unforgiving environment. Bostridge brings it back to the specific and personal in a memorable if ever so slightly over-textured experience. But oh that voice! This entry was posted in 2016, Reviews and tagged Barbican Theatre, Berg, Hans Zender, Ian Bostridge, Kurt Weill, Mahler, Netia Jones, orchestrated song cycle, Schubert's Winterreise on May 15, 2016 by Carole Woddis.